Another Wednesday, another awesome edition of Albert the Alien! 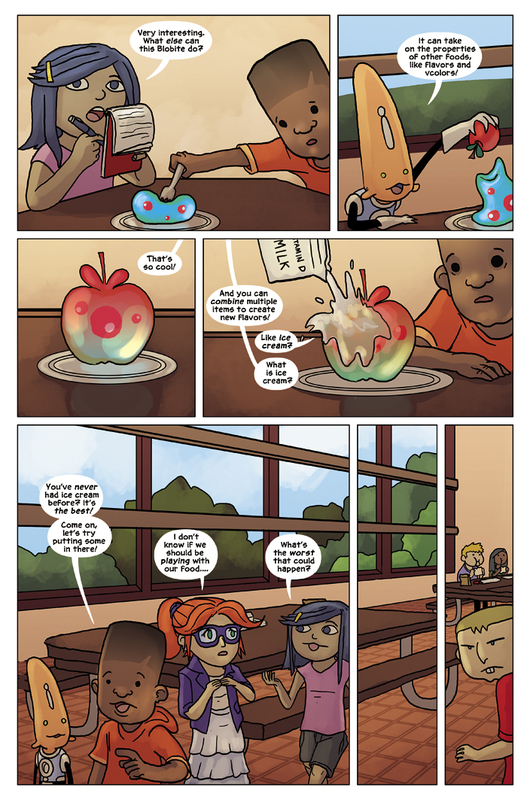 Today we learn more about the Blobite, the alien lunch that encourages you to play with your food. It’s like a toy and a snack all in one! However, it appears that Wally has some sinister ideas in mind while the kids go introduce Albert to ice cream. What will Wally do to try to ruin their day? Find out on Friday with the new update!